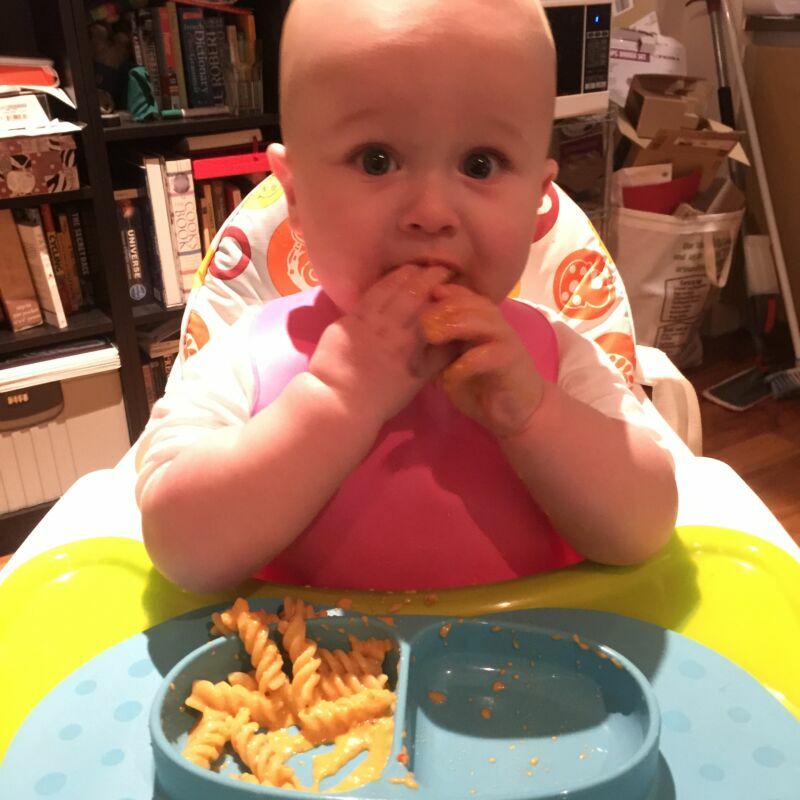 Dexter adores pasta and fusilli twists are one of the foods that he can gum and swallow with limited gagging. 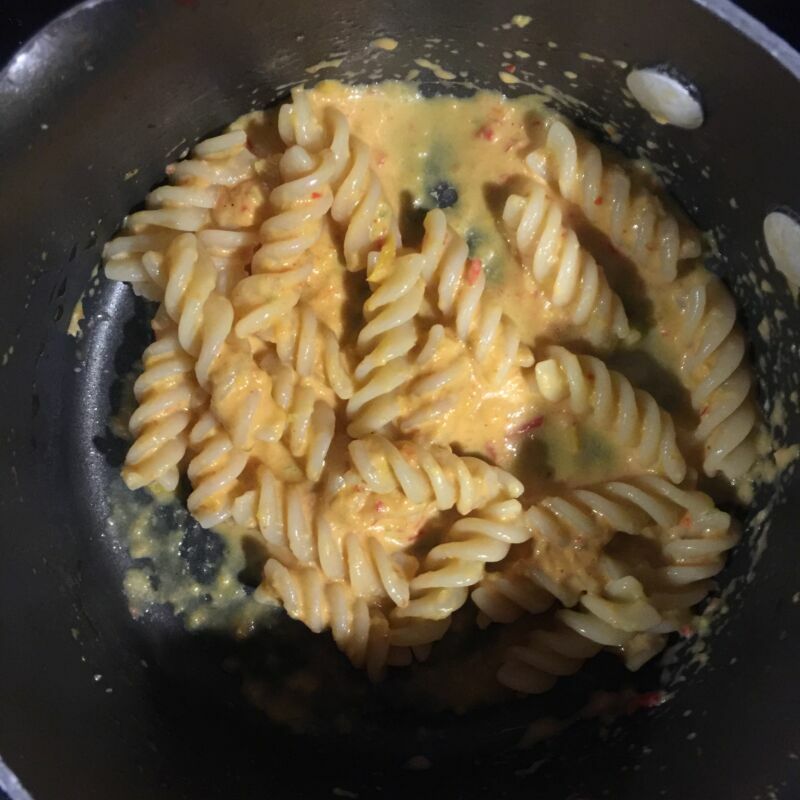 I don’t want to keep offering Dex the same old pasta and tomato sauce combo so I came up with this quick and easy pasta sauce recipe. It contains dairy, hidden veg and healthy fats. I keep a stock of frozen vegetables in my freezer, simply because I have a grocery delivery every two weeks and fresh veg doesn’t keep too long. 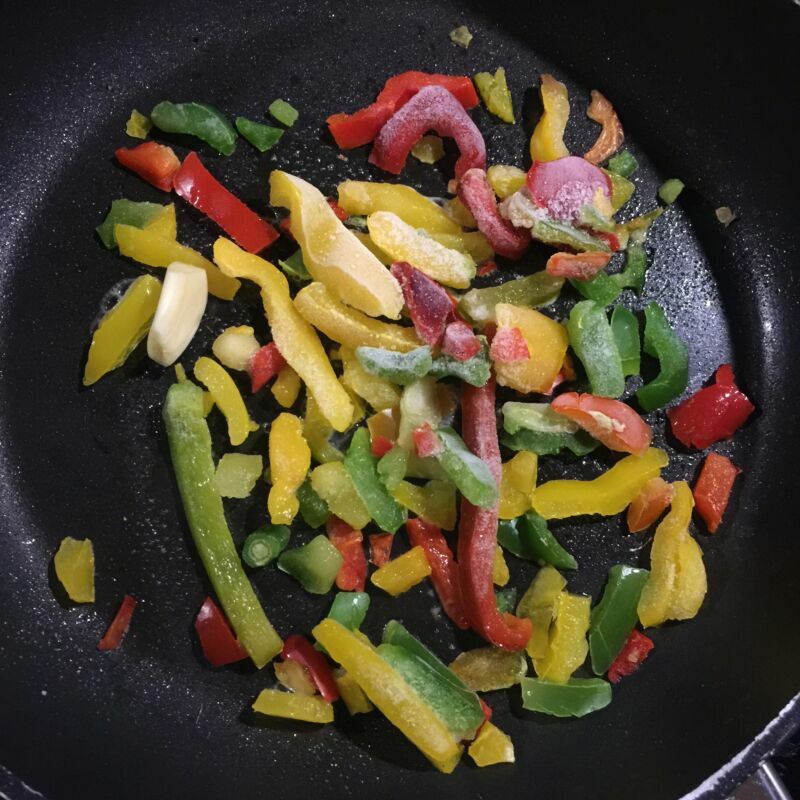 For this sauce I started by frying some peppers gently in a little olive oil. I use a mix of yellow, red, orange and green. I also added a clove of garlic to the pan, I didn’t bother crushing it or slicing it. 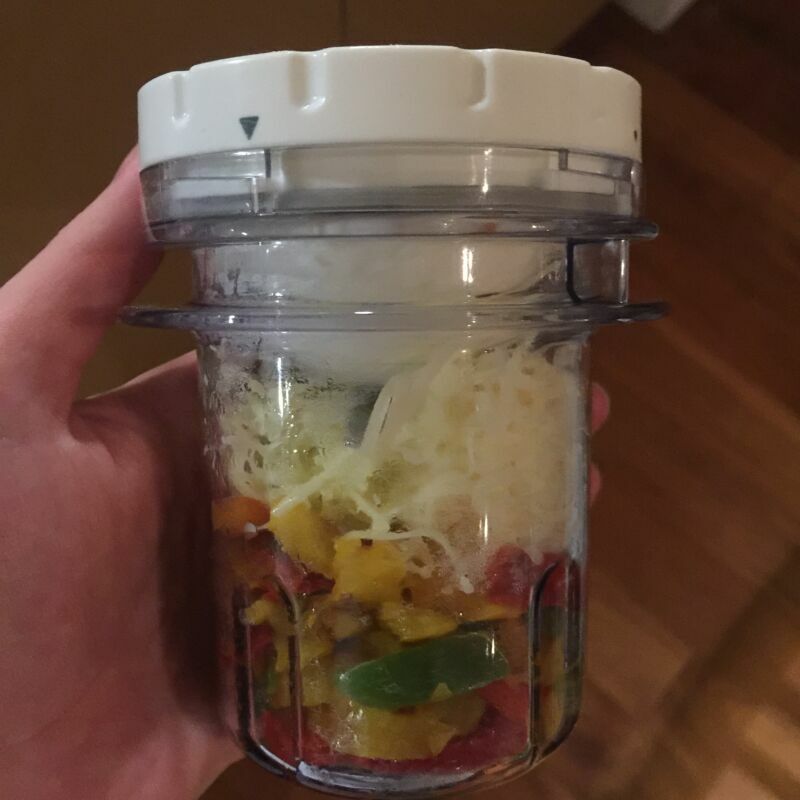 After frying for a few minutes I popped the peppers and garlic into a food processor and added a small amount of grated cheese and a dash of olive oil. I blended until a sauce was formed. Meanwhile I’d been boiling my pasta according to pack instructions. I drained it, then stirred in the sauce, before offering it to Dex. The pasta went down very well as it always does, it smelt amazing and tasted even better. I even had enough sauce left to use the following day. The sauce can keep in the fridge. I wouldn’t freeze it if you are using frozen peppers but if you used fresh then go ahead.